Hi Bonnie! You are a bestselling author of two hilariously funny and highly neurotic books. Your first book, Wedlocked, took the Indie world like a storm. Do you think the image of a bride and a groom with handcuffs around them resonated with the reading public? It’s so nice to be here, Rachelle. Thanks for inviting me! 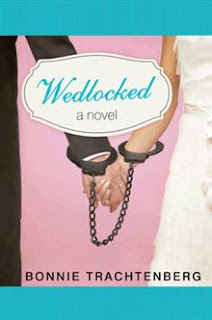 Yes, I’m so happy with the success of Wedlocked. 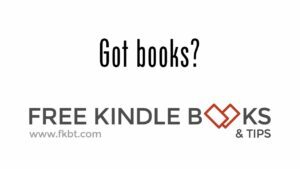 Besides becoming a kindle bestseller, it is also the winner of two literary awards, and an award-winning finalist in two others. It is even being shopped for film now! I’ve been so excited by it all, especially the wonderful comments I receive through social media and the reviews. Many people have told me how much they love the cover. I’ll take credit for the concept, since it was my idea, but I’m also very happy at how well my publisher’s artists executed it. LOL. Wedlocked was inspired by my first brief, disastrous marriage and subsequent “honeymoon from hell” back in 1999. Many of the scenes at the wedding and on the honeymoon in Italy did in fact occur (believe it or not). Some were just embellished, and others were from my imagination. At 35 years old, after a decade and a half on the dating scene, I impulsively married the absolute wrong person. This decision was born out of fear and desperation (it’s not just naïve youngsters who make dumb marital choices). Anyone who is willing to put on blinders in hopes they can transform a problematic person and situation into a fairly tale is at risk of doing the same. Luckily, though, it made for a great story so something good and productive came from it! Oh my! That must have been an awful experience! I’m glad you’ve recovered from that nightmare. By the way, I notice you have become quite an advice giver. Your advice column In Search of a Happy Ending has the potential to overshadow the Dear Abby of the twentieth century. Are you more conservative or liberal in your advice than Abigail Van Buren? Thanks for the vote of confidence! I’m really not sure how I stack up to Dear Abby as far as liberal or conservative advice. What I do remember is she was never afraid of offering a strong opinion if she really believed in it, and neither am I. I’ve had so many years of hard knocks and interesting life experiences, and I’ve garnered much wisdom from them. I pair that wisdom with compassion, and it seems to resonate with all kinds of people. I’m not sure why this comes so naturally to me, but I’m thrilled that LoveaHappyEnding.com is hosting my column, and that I’m receiving so many great responses. I love the happy ending and I'm sure you're giving many people HEAs. You’re definitely a bi-coastal (Los Angeles and New York City). So, tell me, what was it like being in Hollywood in the heyday of Charlie’s Angels? What did you most enjoy about your time in LA? I lived on the West Coast for ten years (1987-1997) so not exactly the Charlie’s Angels’ heyday. I packed a lifetime of experiences into those ten years. I met so many people (some are now my closest friends), traveled, held many unusual jobs, dated a wide variety of men, grew up, and grew wise very quickly. I also became a published writer in 1990, which kicked off what has been a pretty prolific writing career. Despite the heartbreaks and hard times I suffered through while there, I wouldn’t change a thing. So much has become fodder for my books, as well as insight for my column. That said, I’m also happy to be back in New York. Oops, okay, tell me you didn't watch Charlie's Angel reruns while there... So, you have a new book, Neurotically Yours, how did that come about? Does it mix and match all your most favorite activities? I guess you could say that, considering my heroine, Dara, starts out as a long-time single advice columnist who’s got romantic problems of her own. In the book, she opens up a revolutionary dating service for the romantically challenged and chronically single. But when a publicity stunt goes awry, she’s forced to join the ranks of her clientele and face her own fear of love. I was thrilled that I could make use of some of my horrible dating stories (and those of my friends), as well as highlight the humor of those situations. I think anyone who feels they’ve been out on the dating scene too long, or who has weathered some of their own dating disasters, will find the story relatable and amusing. Well, you sure have everyone laughing. There must be half a dozen coffee-spewed Kindles out there. Do your books come with a warning? LOL No, but I’ll keep that in mind for the future! Hmm, maybe I’ll invent the Kindle Shield. Truthfully, nothing makes me more exhilarated than making people laugh. I’m so happy my books have been entertaining so many readers. What’s next? A spot of mystery or a dark psychodrama? Or will you stick to romantic comedy? I think I better stick with romantic comedies for a while or I may piss off my readers who are expecting exactly that when they open one of my books. One day, though, I’d love to write about an amazing story I stumbled upon that occurred on my property beginning back at the turn of twentieth century. It’s a wild true tale that actually includes ghosts! Hmmm.... I'll wait for that one. I'm sure you'll be able to make even an abandoned property full of ghosts funny! Okay, on a serious note, what do you do when you’re not being funny? Aside from writing and marketing my books, I love to hang with my husband, good friends, and family; dine at great restaurants; play and cuddle with my cats; read; take walks; see good movies (no surprise, romantic comedies are my favorite), and follow political news. I'm sure the political news is good for a few laughs, too. How much of your time does marketing and promotion take? An absurd amount! It’s mostly been my full-time job (with overtime) since I released Wedlocked a year ago. As I’m sure you know, once you get started, it’s hard to stop. However, I’ve been researching my third novel now, and at least that’s been rescuing me from marketing mania a few hours a week. Now all I have to do is start writing again! What is the best advice you can give an up and coming writer? Hate to say it, but learning to social market is key. Writers no longer have the luxury of just writing, unless you don’t care whether anyone reads your books. I hired a social marketing expert to teach me the ropes, and she did a fabulous job of preparing me for what was to come. It can be tedious, but it’s imperative if you want to be a success. Did you have one of those POW bracelets? Which war was it from? Yes! I wore it until it broke. He was a major who went missing during Viet Nam. I was just a kid! Thanks for making me admit that, Rachelle. Sure... and I was just an infant. What does a mood ring do? How does it change color? Why do I feel as if I’m being taunted? LOL Yes I had a mood ring, too. Okay? It changes color with your body heat and tells you when you are feeling angry, passionate, calm, or ANNOYED. What was Mr. Farley’s favorite outfit and what color was it? He was from Three’s Company, right? Happy to say I don’t remember. Ha, ha, yes, he was played by Don Knotts and wore lime-green leisure suits with scarves, a real dork. What did odd/even day mean? What commodity was it controlling? Huh? Commodity? Is this related to the stock market or something? I’m right-brained and clueless. Okay, you're not as old as you claim. If your license plate ended in an odd number or personalized, you got your gas, Monday, Wednesday, Friday, Sunday. Even numbered plates, Tuesday, Thursday, Saturday. Did your parents let you eat the “fur” off your Chia pet? Eat the fur? People ate the fur? Or was that just you, Rachelle? Did you eat paste, too? I never had a Chia pet, but I loved the Saturday Night Live “commercial” Chia Head, for bald men. Ch-ch-ch-ch-ch-Chia! It's alfalfa sprouts! I knew it, you just didn't remember... Points taken off for bad memory, but you still pass the twentieth century test. Welcome to the 21st. Tee hee hee, who said anything about you being elder? For instance I still remember when Arnold Schwarzenegger had grey hair (i.e. before his movie star days), the original Gold's Gym, and the Sunset Strip bands. Thanks for being such a fun interviewee. 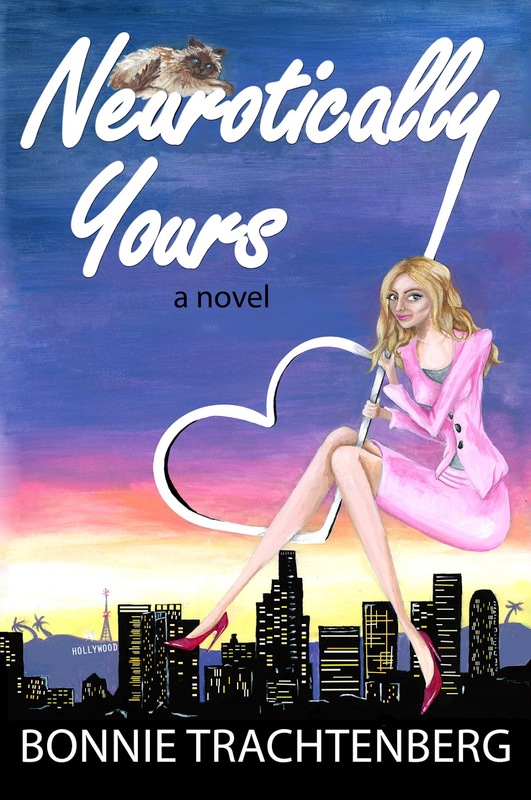 Bonnie Trachtenberg is bestselling author of the new romantic comedy Neurotically Yours: A Novel, and her debut book Wedlocked: A Novel, which won the Beach Book Festival Award and the Indie Excellence Award. She writes a monthly relationship and advice column for LoveaHappyEnding.com. 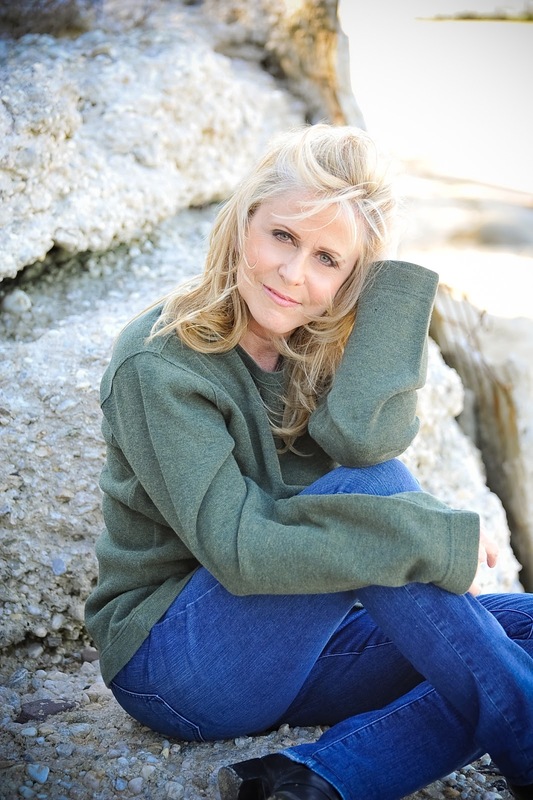 She was senior writer and copy chief at Book-of-the-Month Club and has written seven children’s book adaptations. Trachtenberg lives in New York with her husband, four cats and a dog. I give you three blog awards - congrats!